Now, science fiction is a respectable genre, with tremendous story-telling power, first-rate talent, and serious money in the bank. In visual media, the quality has (no pun intended) skyrocketed, bringing us new (and renewed) versions of classics and top-notch, brand-new imaginings of our past, our present, and our possible futures. Which brings me to The First, a science fiction series that dropped on Hulu a couple of weeks ago. The First is not “science first” in style, nor is it an action-based CGI-fest. The First is about people, and about how they and their society are affected by science. And let me tell you, it rocks. At its most basic, it’s a story about the first manned mission to Mars, but don’t come to The First expecting red-shifted photography of dust-covered domes where stranded scientists grow potatoes in their own poop. Nope. The debut season of The First is about getting to the launch, with all the political machinations and technical challenges that such an undertaking will naturally face. Beyond that basic plotline, though, The First is about the people behind the mission. While that includes the visionaries and the courageous souls willing to look up and wonder, it also includes the realists driven to ride herd on the pie-in-the-sky dreamers, and the families who remain earthbound while their loved ones take to the stars. The world-building of The First is modest but, set only a few years in the future (circa A.D. 2033), totally believable. There are self-driving cars, earpiece mobile phones, and every computer/laptop/tablet has been replaced by VR/AR eyewear; these are the most obvious elements but they are also the least surprising. We’ve all lived through enough technological change to recognize the trendlines, and these fictional elements are right in keeping with where we’ll be in fifteen years or so. But there are a myriad other, more subtle aspects to the world the show creators have built, from privatization of scientific endeavors to cashless transactions in unattended brick-and-mortar linen stores to the shifts in etiquette engendered by a populace that is always connected, always online, always accessible. What has not changed in this shiny world is people, and this is where The First really comes through, as each character in this premiere season is complex, flawed, conflicted, and thoroughly human. We have an experienced astronaut, now a trainer of astronauts (Sean Penn), who is dealing with the death of his wife and the chaos of his daughter’s substance abuse. We have a CEO of the privately owned company (Natascha McElhone) who struggles to balance the needs of crew against the demands of financial backers, all while suffering debilitating back pain. There are episodes where the whole Mission to Mars aspect is put on the back burner while the characters deal with issues that real people deal with, be it loneliness, despair, marital strife, or what to do with the dog while you’re away in rehab. It’s not a perfect show. There were a couple of questionable character reactions and even this layperson caught a science error when an astronaut on the Moon stopped to watch the “earthrise” (the Moon is tidally locked, with the same face toward Earth at all times, so the Earth doesn’t “rise” like the sun and Moon do here on terra firma). But these were momentary and isolated quibbles that certainly did not detract from the overall enjoyment and high quality of the characterizations, writing, cinematography, and direction. 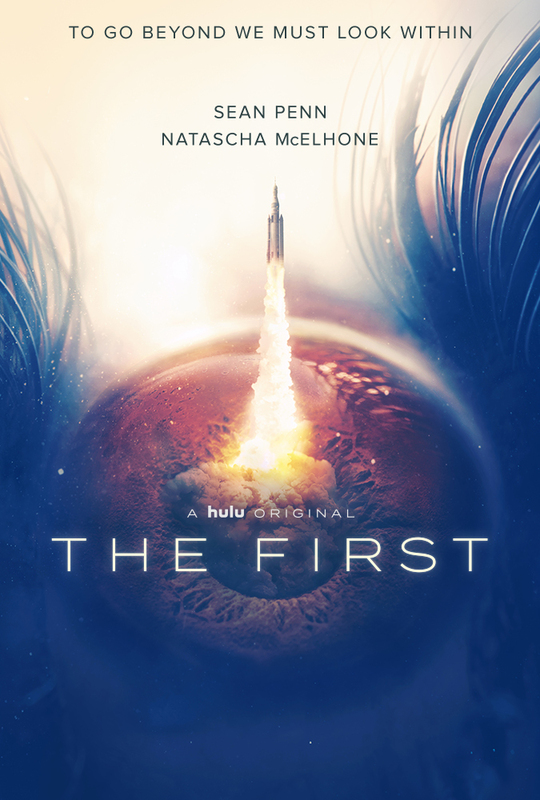 The First is available via Hulu.